Writer-director Todd Haynes is responsible for an eclectic array of films, from the elegantly bio-paranoia drama Safe to the glam-rock celebration Velvet Goldmine and the Douglas Sirk homage Far From Heaven. 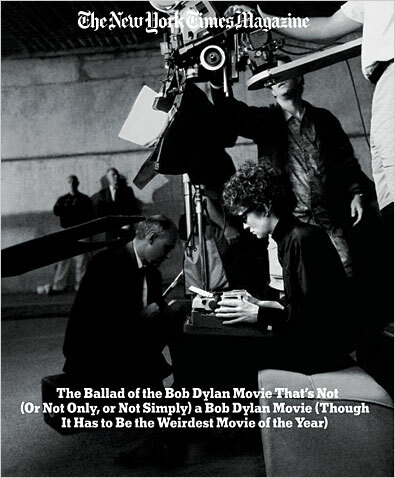 His latest experiment: I’m Not There, a kind of fantasia on the public personas of Bob Dylan. Six different actors — including Cate Blanchett — play the famously protean singer. Early in his career, singer-songwriter Steve Earle was often compared to Bruce Springsteen and widely viewed as a savior of country music. But after a string of enduring hits in the ’80s, he bottomed out early in the next decade, winding up in jail on drug and firearms charges. He’s since returned to glory in a big way, releasing a string of widely adored albums and becoming one of the most outspoken and compelling figures in contemporary music. Since returning to music in the mid-’90s, Earle has set up his own record label and experimented with a wide range of styles, from country and bluegrass to folk and rock music. In recent years, his work has grown increasingly political, addressing war, religion and politics with a decidedly populist bent. The new Washington Square Serenade draws on themes of war, pollution and immigration, while maintaining a sense of optimism that balances out the weighty subject matter. This entry was posted on Monday, November 19th, 2007	at 3:39 pm	and is filed under News	. You can follow any responses to this entry through the RSS 2.0	feed. You can leave a response, or trackback from your own site.